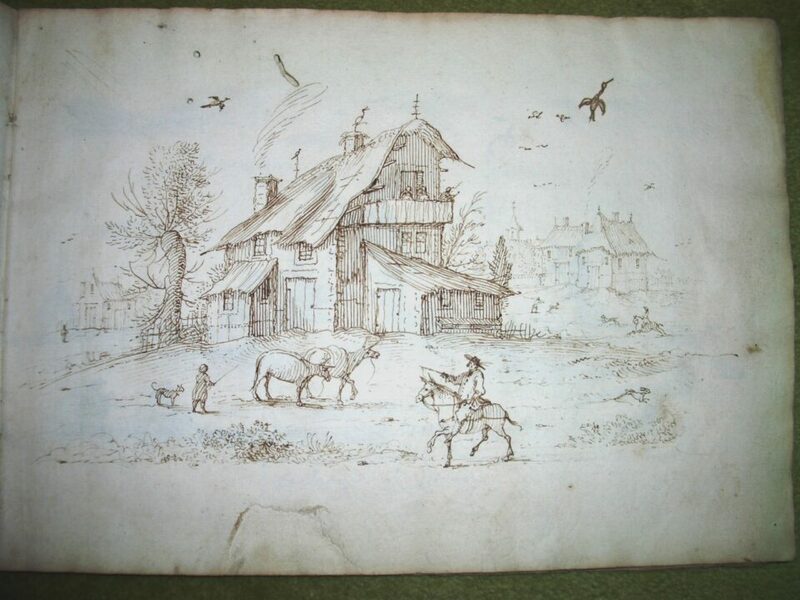 Charming working sketchbook by Albert Flamen (Bruges, c. 1620 – Paris, after 1691). 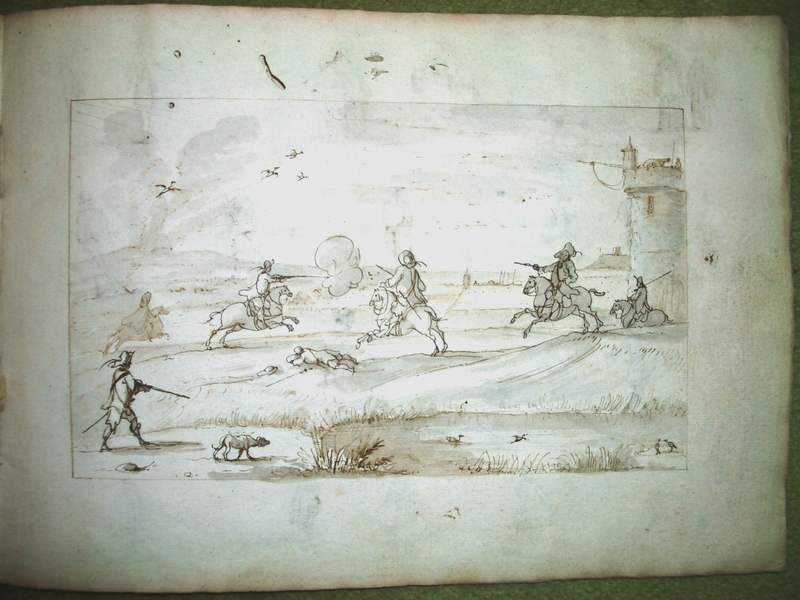 Album containing 22 leaves with the majority of the drawings in brown ink, some with grey and brown wash. The leaves bound into what appears to be the original card cover, with later printed paper stuck to the outside. 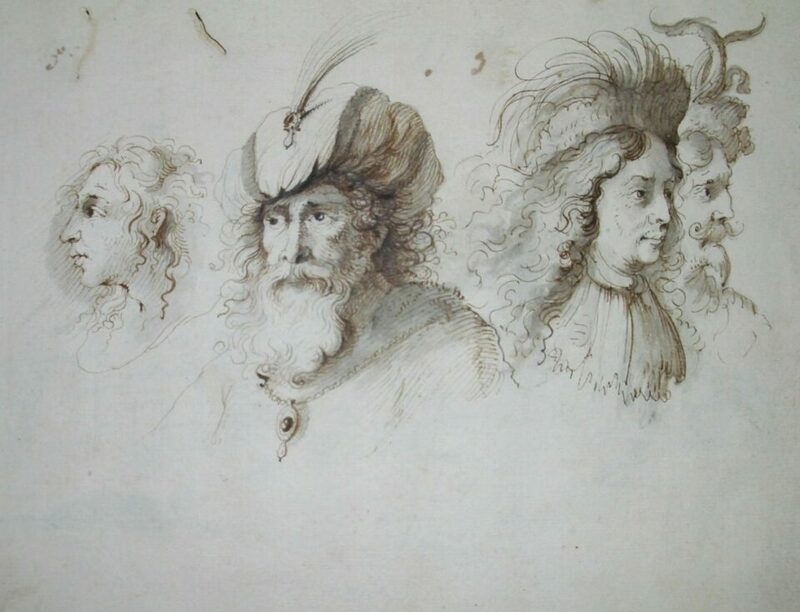 Dated in brown inside the back cover Le premier septembre ao 1679. 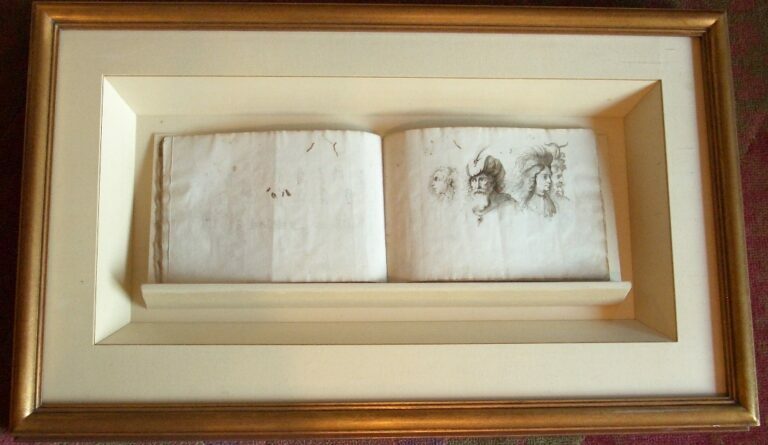 Size: 16 x 23 cm. With watermark resembling Churchill 305. 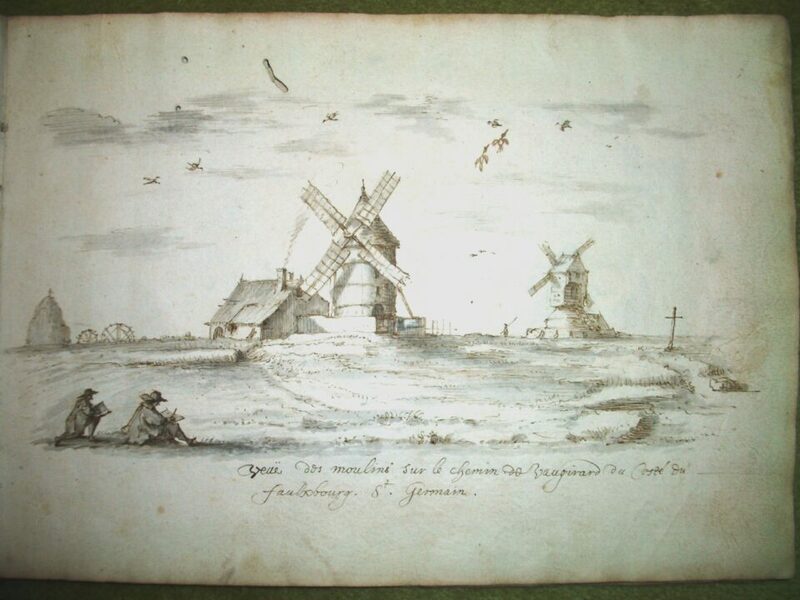 Contents: 9 leaves with numerous studies of fencing/ walking/ seated/ riding/ shooting figures; 1 leave with drawings of faces; 1 leave with drawing of a house with numerous animals; 1 leave with drawing of seven men on horseback in a landscape; 1 leave with drawing of several houses with a man on horseback in foreground; 1 drawing of two windmills with two draughtsmen in the foreground, titled: Veuë des moulins sur le chemin de Vaugirard du Costé du faubourg St. Germain; 1 leave with five (shooting) men on horseback in front of a city gate; 3 leaves with perspective studies. Six leaves are by a different hand (a pupil? ), some other leaves have additions by yet an other hand. The studies of figues or riders are of a type that we see everywhere in the prints of Flamen and his guiding light Jacques Callot, whose work he must have known intimately. He is best known for his prints and drawings of animals, but did also works in other genres. Several albums of his drawings on a single theme are known and at least three other diverse sketchbooks such as this have also survived (amongst which a sketchbook in the Berlin Kupferstichkabinett ).